You can apply and pay online by clicking "Next" at the bottom of this screen. If you would prefer to download a printable/faxable application and forward to us offline, please click here. Managing the business affairs of today's law firm requires special expertise. Among other things, the professional administrator must deal with fast-paced technological changes, management trends that contradict age-old practices, and fundamental changes in the way the practice of law is structured and conducted. 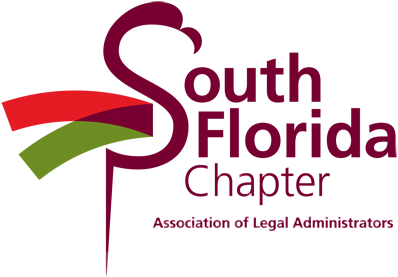 Who are ALA's members and prospective members? Policies governing the participation and the benefits accruing to Associate Members shall be determined from time to time by the Board or, as delegated by the Board, the Executive Director. ALA encourages minority membership in the Association and in the profession. Please note that membership is not open to vendors or consultants. ALA membership is NOT issued to organizations and is NOT transferable from one individual to another. Please note, the below application is for individual memberships only. To apply for a Business Partner Membership, you can access our application here. ALA Member - All Inclusive - $250.00 (USD) Subscription period: 1 year, on: January 1st No automatically recurring payments Membership in the National ALA organzation is required for chapter membership. •Full-time legal administrators or support managers employed in a private law firm, legal service clinic, corporate legal department, university legal department, governmental legal agency, court system, charitable legal agency or some other organization engaged primarily in the practice of law. •Practicing lawyers with principal management responsibility in their legal organization. ALA Member - Only - $125.00 (USD) Subscription period: 1 year, on: January 1st No automatically recurring payments Membership in the National ALA organzation is required for chapter membership.